A few months ago, I did a review on the ISAA toothbrush by FOREO. Overall, I loved it but I did say the brush head itself was lacking a little. You can see my full post here. FOREO actually took this information from all of the similar blogger reviews and actually redesigned their product. 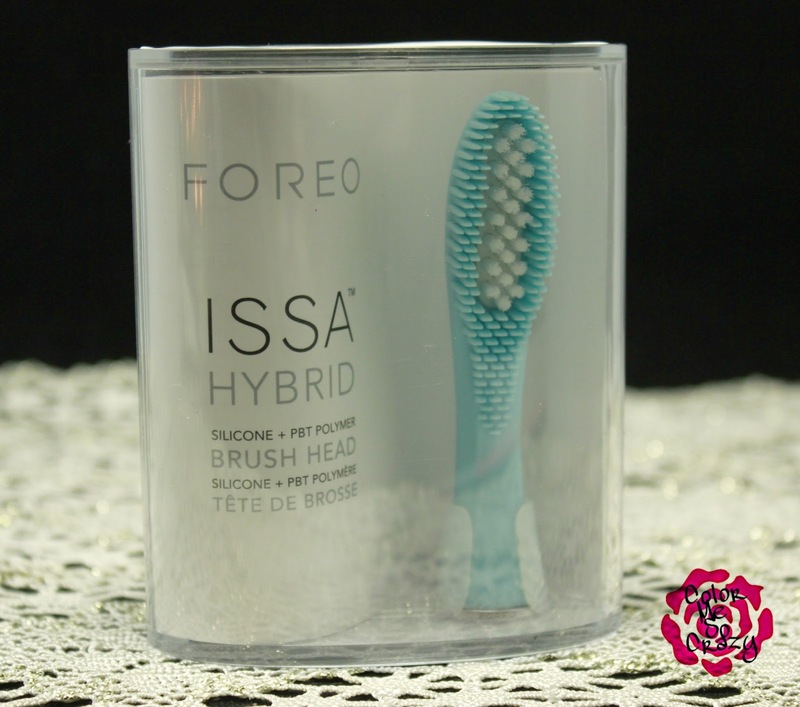 The new product is called the ISSA Hybrid and it's the "Best of Both Worlds". It is designed to really clean your teeth while still taking gentle care of your gums. Hybrid Solution- the brush head has silicone bristles and PBT polymer bristles to deliver a more vigorous brush than just silicone bristles. This is all, "while offering a gentle cleaning and comfortable massage for your gums". Sonic Pulse Technology- This is the thing that attracted me the most about this product. there are 11,000 high-intensity pulsations per minute for high effective cleaning. 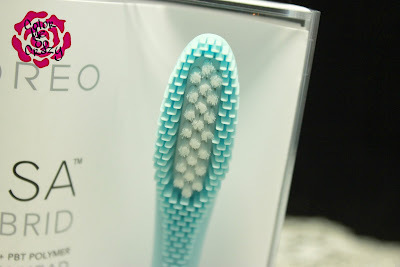 The brush itself pulsates for 30-seconds per quadrant in your mouth so you get a full clean. Hygienic- Silicone & PBT polymer both hold less bacteria than regular materials. 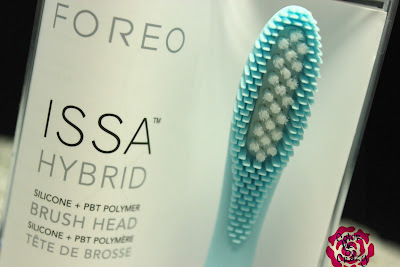 Smart Design- 3D flexible brush head literally lets you get every nook and cranny. It bends with every crevasse of your mouth and moves everywhere you need it. The design is extremely durable and even lasts up to 6 months before you need to replace it. Travel-Friendly- I have had this product for about 8 months now and I have yet to charge it. It is supposed to only take about an hour to charge and even charges via USB for your on the go needs. 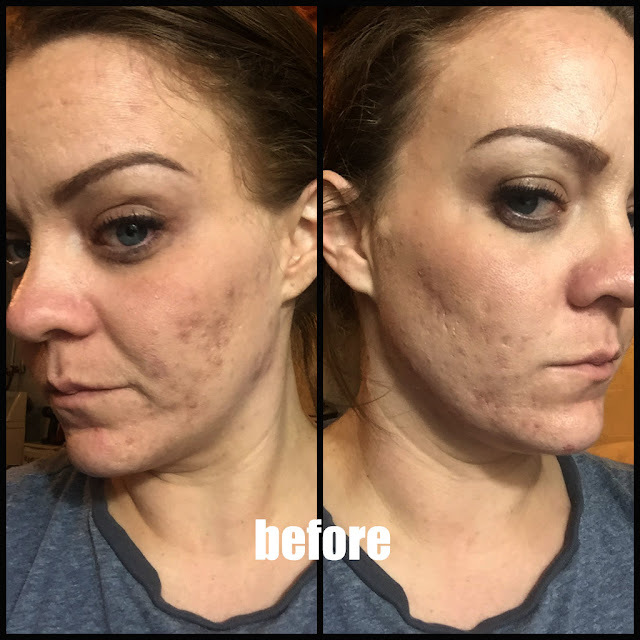 Overall, I am very impressed by this product. I am so happy they made this upgrade. I am going to absolutely buy this upgrade for my brush. 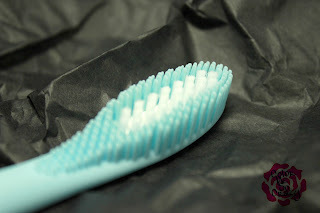 When I use it, I get a better clean and my gums still feel protected. Since this doesn't need to be replaced as often as a regular brush, I think paying $24.90 every 6 months is totally worth it. I actually found mine on Sephora.com.